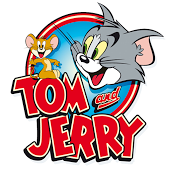 Once again Warner Brother Home Entertainment has put together a masterful collection of the all time favorite animated cartoon, Tom and Jerry. Holiday Contest and Sweeps is honored to review this new 2-Disk DVD for my readers. Tom and Jerry: Mouse Trouble, is a collection of shorts compromised of some of the funniest episodes from Tom and Jerry and classic, theatrical Tom and Jerry shorts. Included in this all-new, expansive collection is the Academy Award winning (Best Short Subject:Cartoon) Mouse Trouble, which has Tom following the ill-fated advice of a book on how to catch mice. 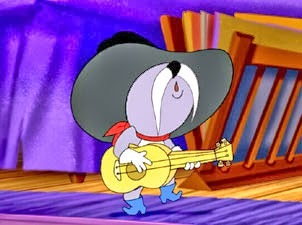 Get ready for a rowdy reunion when Jerry's Uncle Pecos comes to visit in Cry Uncle. Cat got your tongue? Maybe it's Cat Got Your Luggage?. the short which has Tom working as a bellhop in a fancy hotel and Jerry is a guest that is sure to overstay his welcome. Then Jerry helps an escaped circus lion in Jerry and the Lion. Tom presents Jerry as a gift to his beautiful feline girlfriend, Toodles Galore in Love Me, Love My Mouse. These and several other hilarious cartoons are featured in this must-own set. This DVD Collection provides 3 hours of fun that the entire family will enjoy. So make your favorite bowl of popcorn, gather the snacks and get ready to laugh at the world's favorite cat and mouse duo in action.